Trace the steps of America’s colonists in this historic living-history museum, where the country’s earliest days come to life. From the days of the earliest settlers in colonial America up to the present day, the United States as we know it has gone through an incredible transformation. A transformation built on bold ideals and leadership, and a willingness to persevere through incredible challenges and hardships. 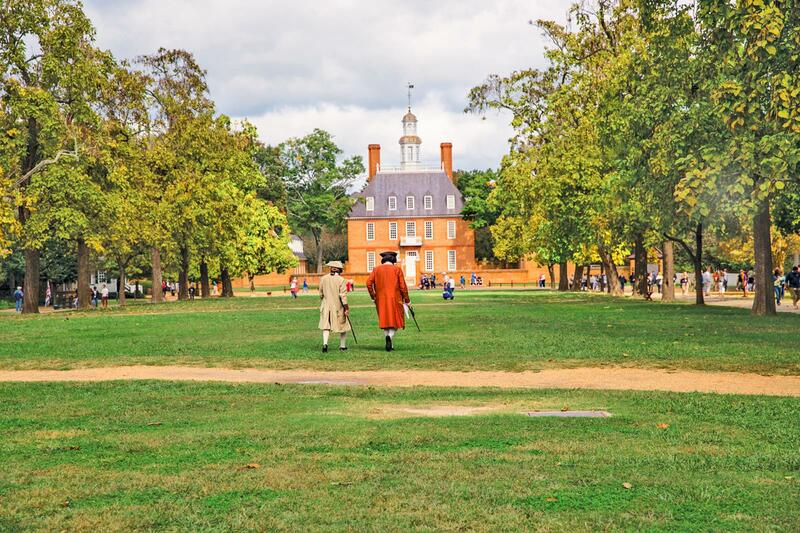 Museums and textbooks have preserved much of the history that shaped our country, but one of the most unique ways to truly experience it is with a visit to Colonial Williamsburg, in Williamsburg, Virginia. First, setting foot in Colonial Williamsburg is like stepping back hundreds of years. 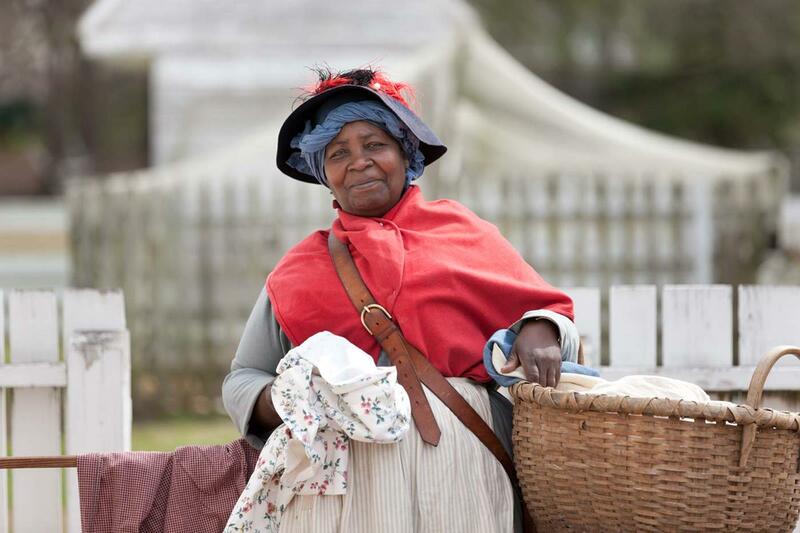 This living-history museum has been carefully curated to reflect life between in the 18th century, down to the specific dress, construction, and even speech of the earliest settlers. 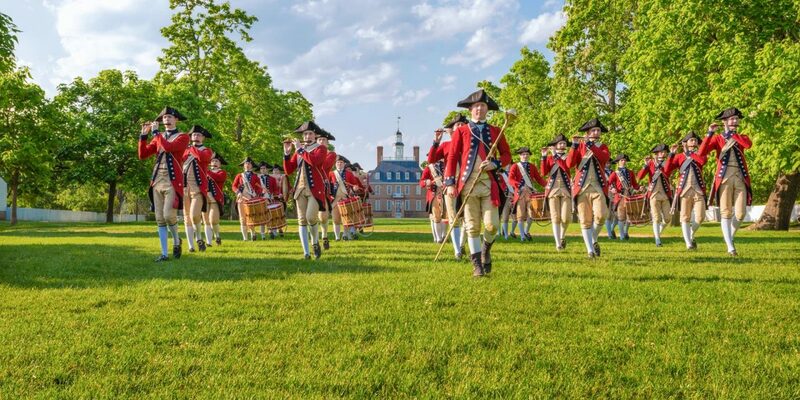 With more than 50 historic sites to visit and a long list of events taking place each day, there is no better way to experience life in colonial America than with a ticket to Colonial Williamsburg. It gives visitors a chance to see beyond the history books, and take part in experiences that are rarely, if ever, part of our modern world. Stroll through the quaint car-free streets, take a carriage ride, shoot a musket, participate in a local court session, or visit the local silversmith shop. Williamsburg is a place for all interests and for all ages, all year around. While exploring Williamsburg on foot is easy and detailed maps provided online and at the visitor center will keep you on the right track, guided tours provide an extra layer of knowledge that you won’t get anywhere else. 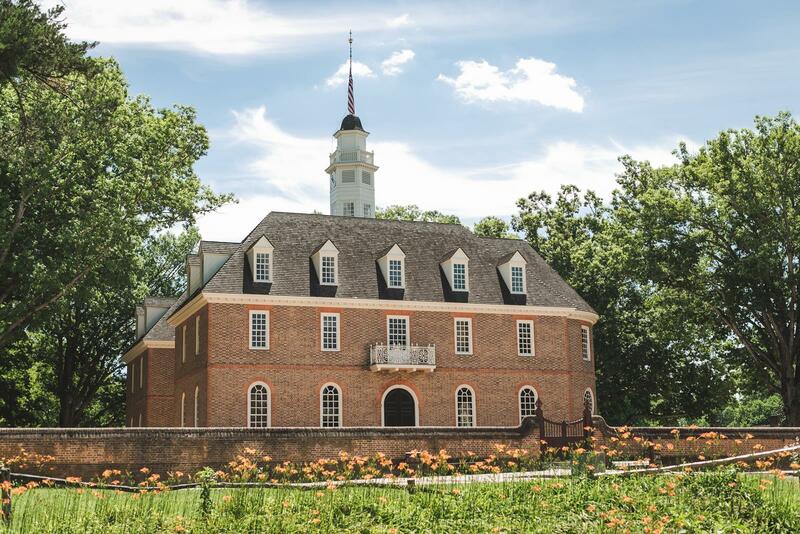 There are more than 20 to choose from, many are included in admission tickets, including a behind-the-scenes tour, a children’s visit of the Governor’s Palace, a meet-and-greet with some of Williamsburg’s animals at the stables. 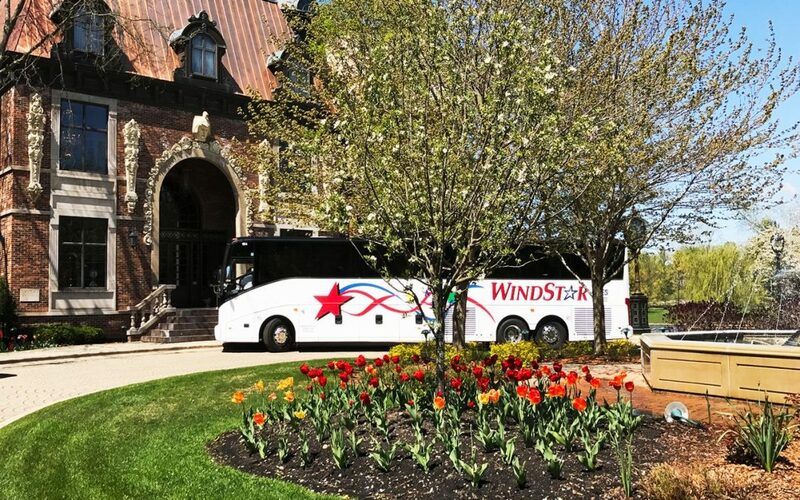 Of course, these are just a few of the many exciting tours taking place each day. Be sure to check the calendar when you arrive to see what adventures await. 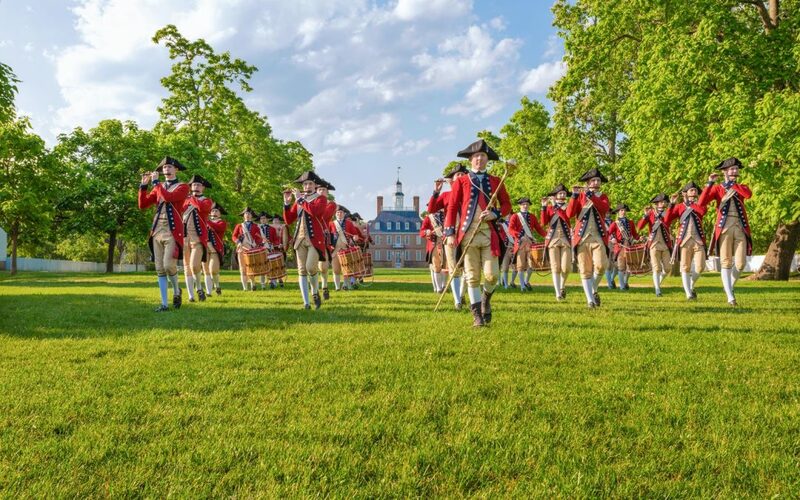 When in Colonial Williamsburg, take the opportunity to learn about history directly from the source, with the stories of brave and intrepid individuals told by the Nation Builders. 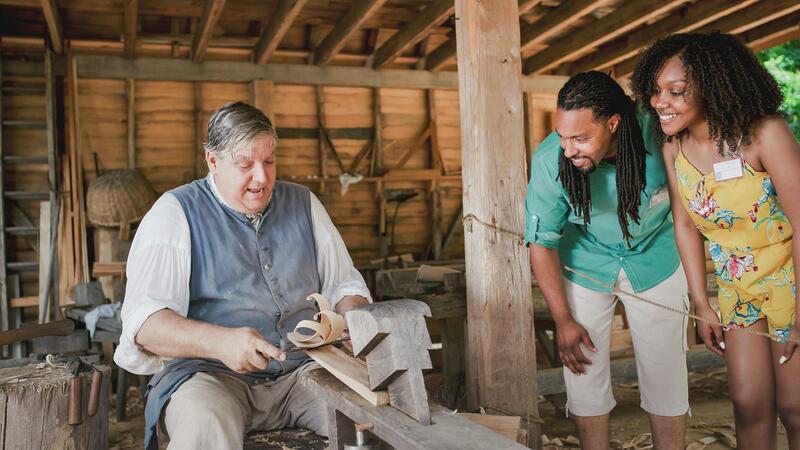 The Nation Builders are an elite group of interpreters portraying real historic figures from the 18th century who made amazing contributions to the American story. 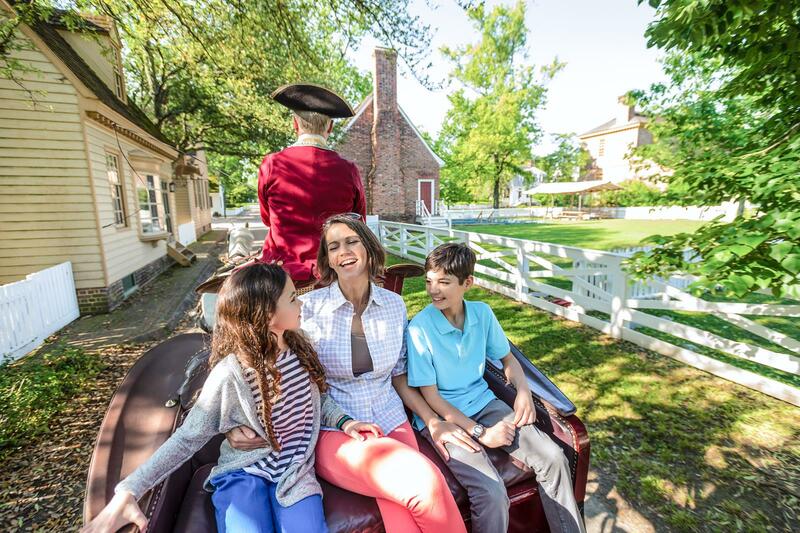 Meet a Nation Builder during your visit and get an in-depth look at some of history’s most prominent figures including George and Martha Washington, Thomas Jefferson, and founder of Williamsburg’s first Baptist church, Gowan Pamphlet. Nation Builders represent a diverse group of historical figures, so no matter who you have the chance to meet, you’re sure to learn something new about the history of our nation. Edith Cumbo was a free black woman who lived in Williamsburg in the late 1770s. 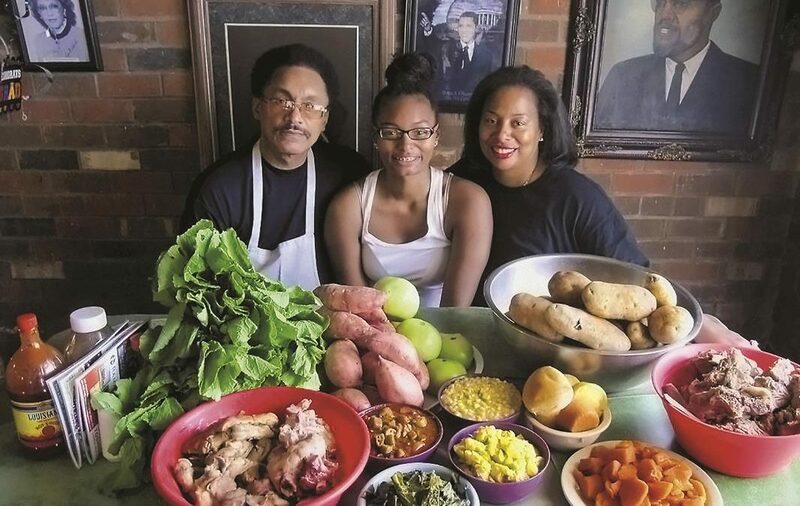 She tells visitors of the challenges free blacks faced at the dawn of the American Revolution and her story of independence and resourcefulness. James Armistead Lafayette share his incredible story of life as a double agent during the Revolution and the fight for freedom that followed. And George Mason inspires visitors with his life as a planter, statesman, and thinker who inspired the colonies to boycott British goods and later authored the Virginia Declaration of Rights. There are more than 50 sites to visit within Colonial Williamsburg; your ticket is the key. You can choose self guided or guided tours. Merchant shops, government buildings, religious sites, public gathering spots and more can be found throughout the city and all offer incredible insight to life in colonial times. Skilled trades people can be seen engaging in colonial trades at stops such as the Carpenter’s Yard, the Silversmith, the Tin Shop, and the Gunsmith Shop. Pay a visit and see the hard work and specific skills that went into each of these important colonial trades. See how colonial fashion was created at the Wigmaker’s shop, the Milliner, the Weaver, and the Tailor, where styles of the era come to life. And be sure to spend some time in Market Square, a hub of activity just as it was in colonial times. Learn more about the leadership and early government that shaped the United States as we know them today by paying a visit to the many historic sites dedicated to this work, such as the Courthouse. Inside its walls colonists came together to make decisions that went on to shape a great nation. And at the Capitol, discover where representatives of the colonies debated the meaning of American liberty. Colonial Williamsburg is a hub of activity 365 days a year and offers something for all ages. 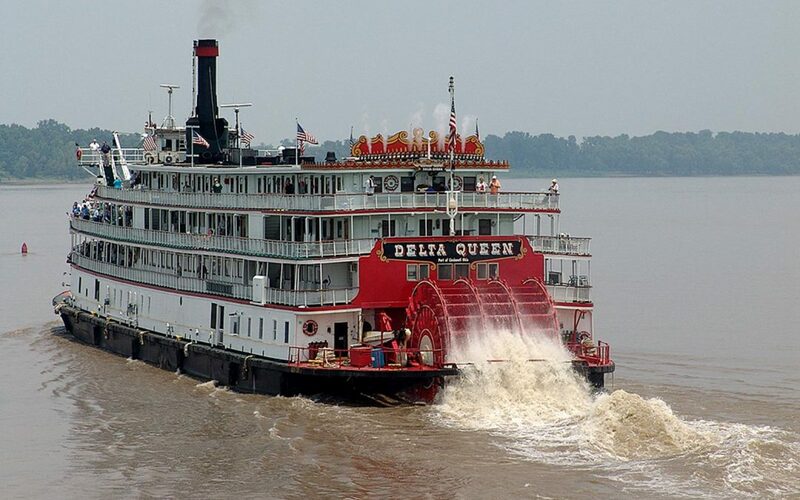 There is no limit to what you can explore with the countless tours, sites, experiences, and historic figures that make what is surely one of America’s greatest living-history museums. Plan a visit and prepare to step back in time to the days that shaped our country.